It goes without saying that Daft Punk’s latest single “Get Lucky” has been making some major noise since its release. As wonderful as it is that it’s getting the radio play it deserves, it’s bound to succumb to the fate that any good song suffers once it gets played thousands of times over on the radio: the fate of being played out. Thankfully, indie outfit Daughter offers up a fresh take on the song by reinterpreting it in a more mellow fashion which does absolute wonders if you’re just trying to chill out and relax after a hard day’s work. Press play & just let your thoughts flow. The Knocks just keep churning out the hits. Collaborating with fellow NY-based act St. Lucia, the duo of Ben Ruttner & James Patterson give us a weekend appropriate track in the form of dance-oriented synths & bagpipes. 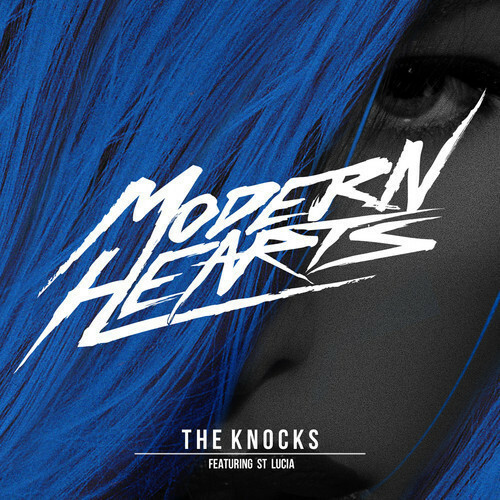 As odd an instrument pairing as that sounds for an EDM track, it works surprisingly well as The Knocks employ the sounds in good taste while St. Lucia handles the vocals & sings of love’s place in today’s hearts. Listen to the track below. If I had to bank on one mixtape giving us a reason to still believe there is good music to be found in the mixtape industry, it’s probably Big K.R.I.T.’s K.R.I.T. – King Remembered in Time. Released roughly 2 weeks ago, the Mississippi rapper’s latest mixtape is a refreshing body of work that flows seamlessly from track to track as K.R.I.T. shows his chops as both a rapper & producer. One of the more hard hitting tracks on the mixtape, “King Without A Crown” exemplifies the mixtape’s theme of aspiring towards greatness. Keeping in mind that K.R.I.T. writes his own lyrics & produces his own beats as you listen to the song, you can’t help but feel that he’ll eventually get there. 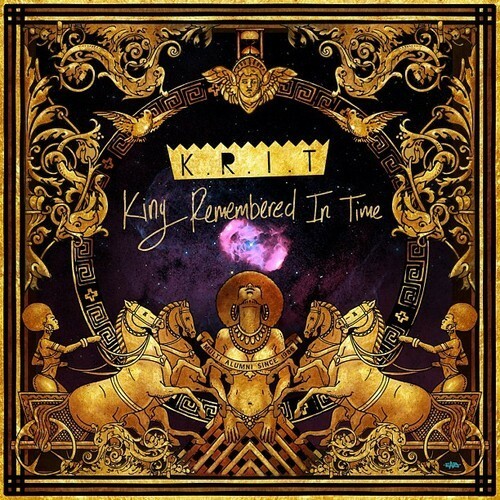 King Remembered In Time is a mixtape that’s fluid, focused, & fresh. Don’t be surprised if you start hearing more of K.R.I.T.’s material in the coming months as this mixtape is sure to keep his buzz going strong. Download the entire tape here. I was honestly a little bit surprised to find out that Charli XCX is only 20. Bursting onto the scene from co-writing and being featured on the Icona Pop banger “I Love It,” Charli XCX is showing herself to be one of the brightest up & coming artists in the music industry today if her recently released debut album True Romance is any indication. Among one of the album’s many standout tracks, “You (Ha Ha Ha)” is just a small sample of the type of catchy high quality pop songs you can expect throughout the album. A beat composed of goofy, yet cleverly arranged sounds serve as the groundwork over which the young pop singer semi-raps & sings of a failed romance. Peep game below & be sure to check out the rest of True Romance as well. There’s just something about Brazil that seems to bring out the musical creativity in artists. While I can’t say for sure if Theophilus London heard Trails & Ways’ lovely ode to Brazil “Nunca,” his latest single “Rio” would seem to suggest that visiting Brazil gave him a similar inspiration to pay homage to the beautiful country. Enlisting the help of fellow NY-based act The Menahan Street Band, London gives us a tropical track filled with chill vibes that’s sure to get you excited for summer. Get wavy by pressing the play button in the player below. It feels like a lifetime (really only a week) since I last came across a song of the indie rock variety that wasn’t a remix or cover that managed to catch my ear upon first listen. Granted, my ears are still going through a phase of EDM cravings and haven’t really felt compelled to listen to much indie rock (let alone any other musical genre) at all lately. 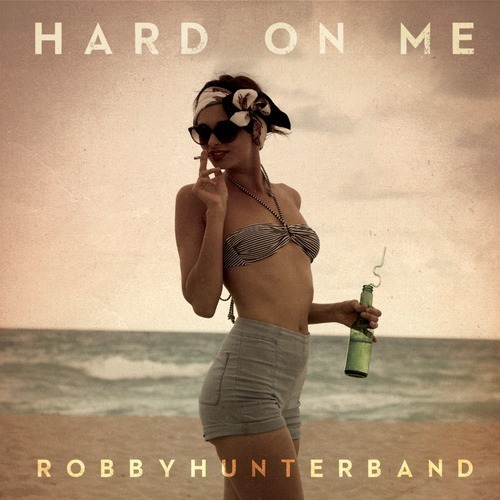 Considering how fresh Robby Hunter Band’s “Hard On Me” sounds right now, maybe my little indie rock layoff was a good thing. What makes “Hard On Me” such a great song is its mellow sound and fun-to-sing lyrics. Over a laid-back combination of bells, guitars, and drums, lead singer Robby Hunter utilizes his blues-like vocals to good effect as he sings of the pain & agony that comes with lust. Pretty good song to kick off the week if you ask me! Check it out below. As you’ve probably heard by now, 2013 Coachella Headliner Phoenix’s performance was the talk of the town around the music-sphere last night as the French quartet gave a memorable performance that featured new songs off their forthcoming album, every single song off the amazing Wolfgang Amadeus Phoenix, & a mash-up performance with R. Kelly. No doubt it was a performance that this year’s Coachella goers are sure to remember for the rest of their lives. 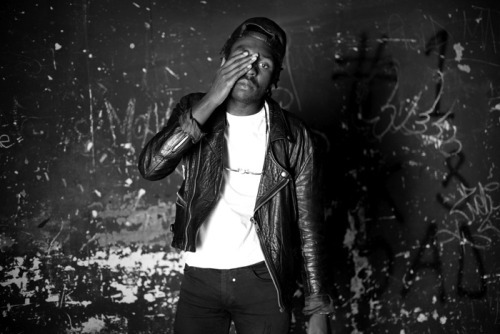 In light of the upcoming release of their new album Bankrupt!, what better way to ease into the week than with chill vibes than with a Blood Orange remix of “Entertainment?” Assisted by frequent collaborator Solange on vocals, Mr. Hynes applies his signature psychedelic touch to the track by bringing down the BPM a bit and utilizing a more trippy set of guitar chords to give it a more laid-back feel appropriate for setting the mood for an evening of relaxation. Trip out, relax, & enjoy!